America, We Don't Deserve Our National Parks. Can We Fix That? I’ve tried to come up with an educated, articulate, and eloquent way to convey what I’m thinking and feeling in regards to the current state of things in our public lands. But, I give up. I’m pissed off. As much as I love them, we don’t deserve our National Parks. For years I’ve preached the gospel of recreation in our public lands. 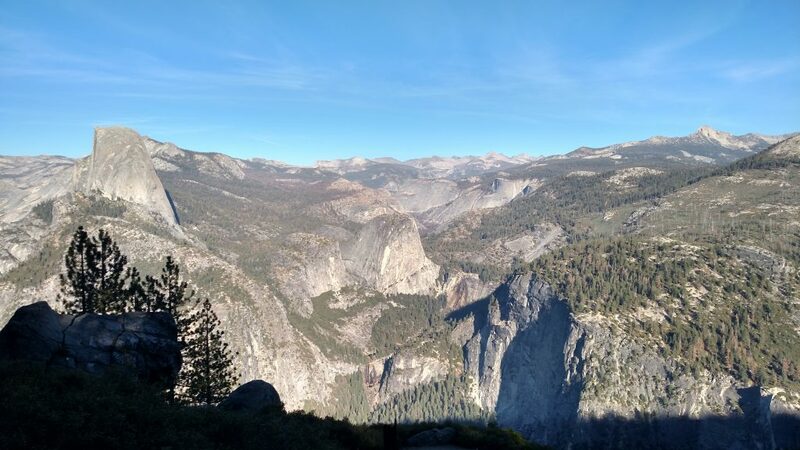 From National Parks to National Forests, Memorials, Monuments, and Recreation Areas, I’ve encouraged my readers, friends, family, and bartenders to visit, explore, and appreciate them. I truly wanted everyone to have incredible National Park experiences, because we have incredible National Parks. Now I’m starting to realize that we don’t deserve them. We’re shitting all over our public lands. Literally. 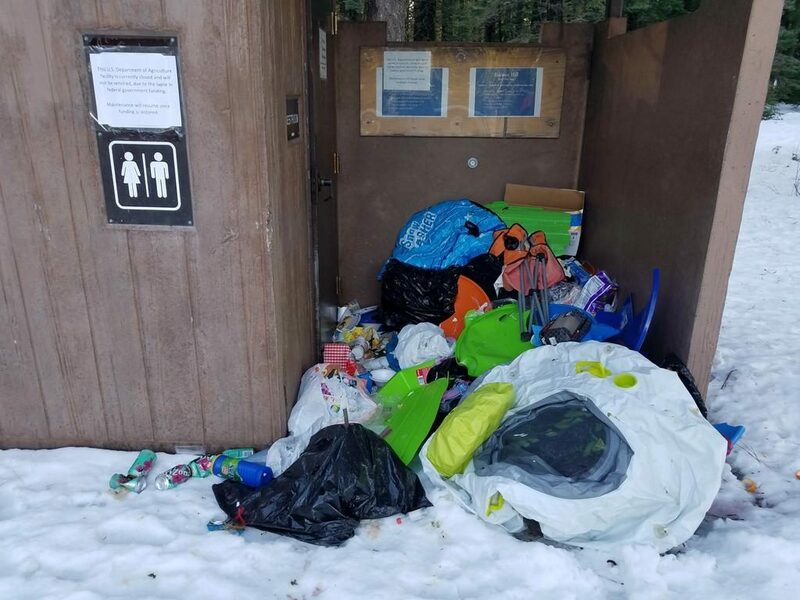 So many people deposited so much human waste on the side of the road in Yosemite, that some campsites and roads had to be closed. People literally thought that it was okay to leave human feces laying about. Garbage is overflowing. Again, literally. 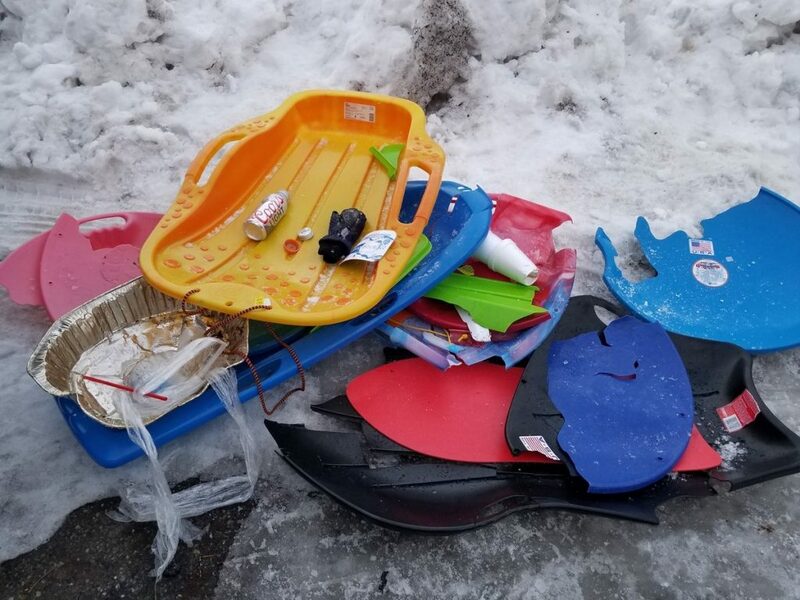 People can’t be bothered to pack trash out with them. Maybe they don’t realize that they have essentially signed death warrants for bears and other wildlife that eat that trash. Or that with no one there to pick it up, it’s only going to spread throughout the park. Whatever, bro. 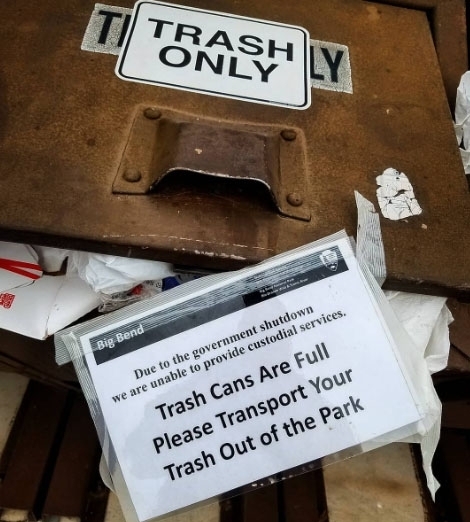 Garbage is overflowing in Big Bend National Park. Photo by Joe Mirabelli. 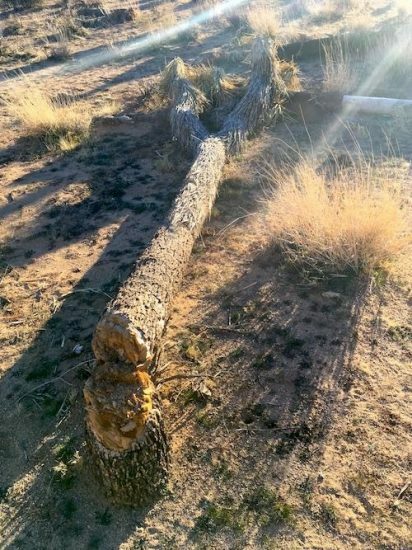 Vandals cut down Joshua Trees so they could go off-roading in Joshua Tree National Park. Their night of “fun” caused ecological damage that will take years, if not decades, to repair. But they had some gnarly driving, so what do they care. I’m just scratching the surface. It’s bad out there folks. One of several Joshua Trees cut down in Joshua Tree National Park so that the area could be accessed for off-roading. The ecological damage could take decades to repair. Photo by NPS. I didn’t want to say it, America, but you forced my hand. We don’t deserve our National Parks. It’s truly sad. We take them for granted. We treat them like trash heaps. We want to use them for personal enjoyment without paying for it. We want to extract as many resources from them as possible with no thought given to the long-term consequences. That’s not how responsible adults behave. Hell, that’s not how sane people behave. This is asinine. We have what is probably the finest National Park system in the world and we treat it like a toilet. I understand how difficult it is deciding to close a National Park, even during a government shutdown. Communities surrounding our National Parks rely on the income that visitors bring – to the tune of $20 million! 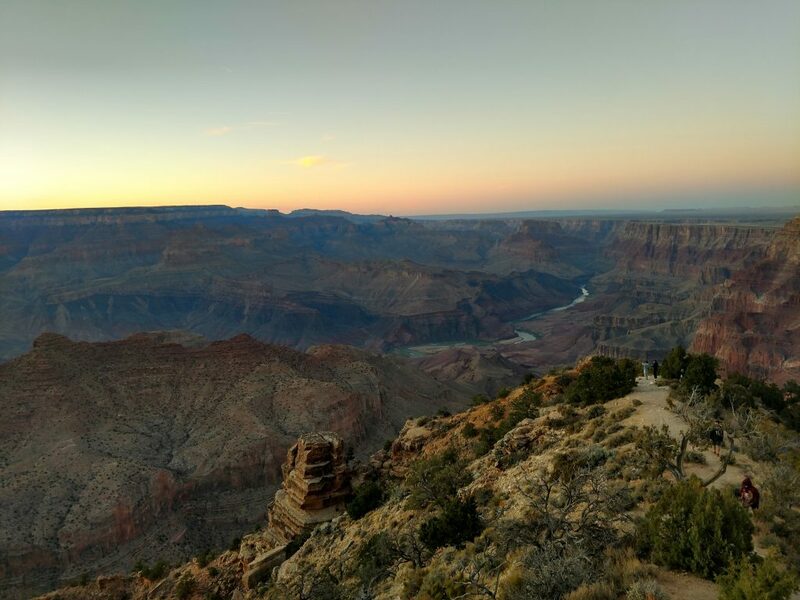 A long-term closure of a National Park can spell severe economic distress for those towns, especially when so many residents may be furloughed government employees. I am extremely sympathetic to that fact but leaving the parks open, with next to no staff on hand, relying only on the kindness of volunteers, friends groups, and local organizations to keep things running smoothly, is a disaster waiting to happen. I don’t say that to denigrate the efforts of those volunteers – y’all are amazing! Unfortunately, it’s simply not enough. 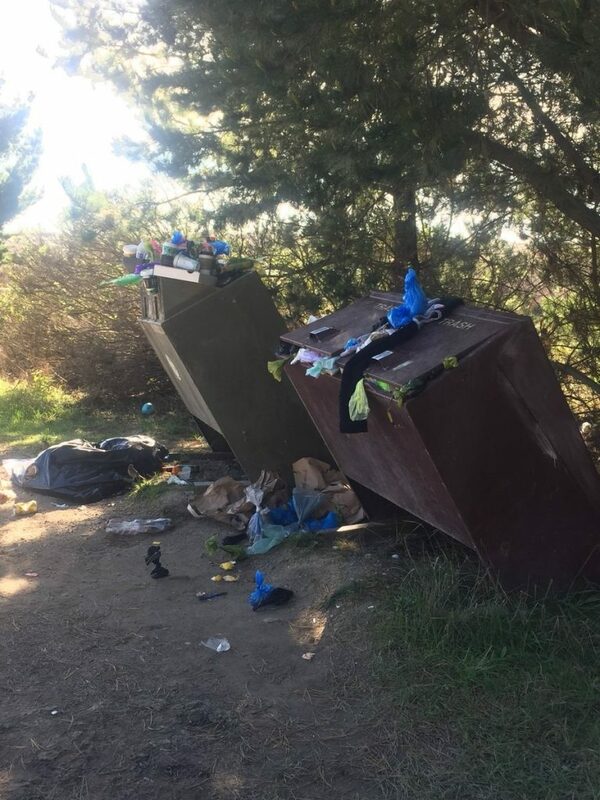 While these communities rely on the income from National Park visitation, what will happen to those communities when the parks are so trashed that people don’t want to return? Or the vandalism destroys the sights that visitors come to see? What happens to those communities then? Seven people have died in the parks as of January 7th. I can’t decisively say whether any of those deaths would have been prevented had the parks been closed (or fully staffed for that matter), but my gut says yes. National Parks, we’ve let you down. We don’t deserve you. We don’t deserve our National Parks, but we still need them. Not just because they provide us with leisure, history, and natural wonders. We don’t need them simply because they have an estimated economic value of $92 billion. We don’t need them just because they protect and promote biodiversity, provide opportunities for education, and serve as a home to vast amounts of wildlife. We need them because of everything that they do, are, and – most importantly – can be. But only if they can see its value. And there are fewer places that broadcast that value in America as majestically, beautifully, and – most importantly – as accessibly as our National Parks. And they absolutely ARE majestic when we don’t abuse them. That’s why they’re National Parks. Until now. Now we’re just tearing them apart and abusing them. Ain’t nothing majestic about that. Which is why we’ve got to close the National Parks until we resolve the government shutdown. By leaving them open without the resources to care for and protect them, we’re causing damage that may be irreparable. STOP GOING TO THE NATIONAL PARKS! Especially the incredibly popular ones. Seriously, unless you’re going as a volunteer, just stay out. The few remaining staff, volunteers, and resources are overwhelmed and overburdened. Don’t contribute to that. Just explore somewhere else. If you do go to a park (or any public land for that matter) practice Leave No Trace principles. Don’t know them? See point 3. 2. Donate money or volunteer your time. Don’t worry about how much money or time you can give. If you’ve got an hour and ten bucks, give them; if you have ten minutes and a dollar, give them. We can all do something. If you have no money and no time to contribute right now, give serious consideration to point 4 when you get a few minutes. Seriously, every little bit helps. 3. 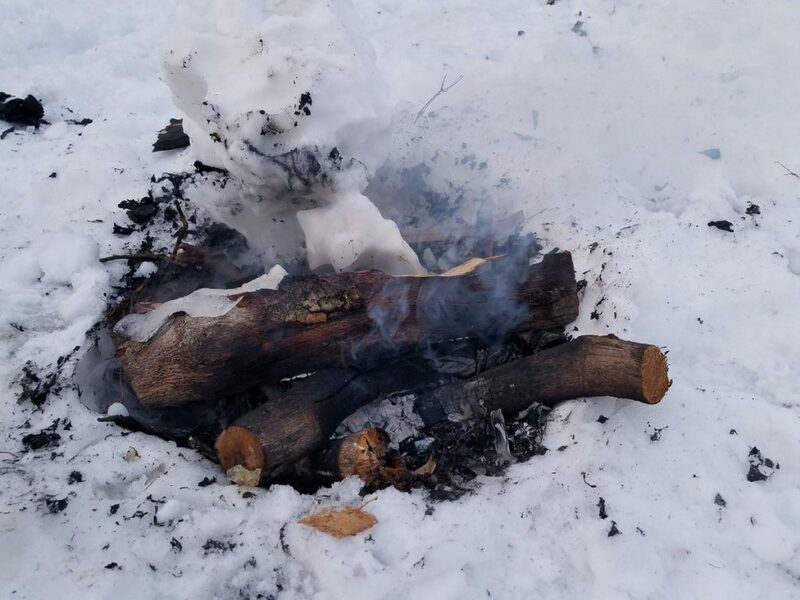 Learn some Leave No Trace principles. Most of it isn’t super complicated. If you can’t dispose of your waste and trash properly, stay home. If you’re going to use public lands, you should use them respectfully. 4. Don’t forget about the National Parks when the shutdown gets resolved. The parks have a maintenance and infrastructure repair backlog requiring over $11 billion in funding. And they’re not getting it. Write to your representatives, call them, vote pro-public land and pro-national parks. Tell your elected officials that public lands and National Parks are a priority. That $11 billion backlog sounds impossible to defeat, but let me put it in perspective for you. That backlog is 1.57% of our Nation’s defense budget. Why don’t we scrape off 2% from defense and use it to create a program in which we house and employ homeless veterans and hire former soldiers in the parks? But we don’t have to pay that much to save our National Parks. If every US taxpayer would contribute $80 in taxes directly to the National Parks, we’d have that maintenance backlog funded in one year. That’s right, if we all chipped in, we could protect all of this, further research, and fund educational programs. That is, if we don’t destroy the parks first. You know who does deserve our National Parks? The furloughed rangers and park staff that desperately want to be back at work. And all of those volunteers who are out there cleaning up messes that other people made. As for the rest of us? The jury is still out. We do have similar problems with our National Parks in UK but not, I think, to quite the same degree. Do you think it has become worse over the last couple of years? I wonder whether behaviours have simply become worse as people see the examples set by those supposedly responsible people ‘in charge’ of the country.